Providing you the best range of stainless steel sheets for aircraft & aerospace industry with effective & timely delivery. 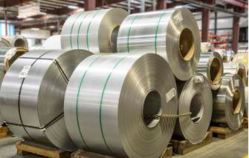 We offer Stainless Steel Sheets For Aircraft & Aerospace Industry at very reasonable rates. These are available in market very easily.